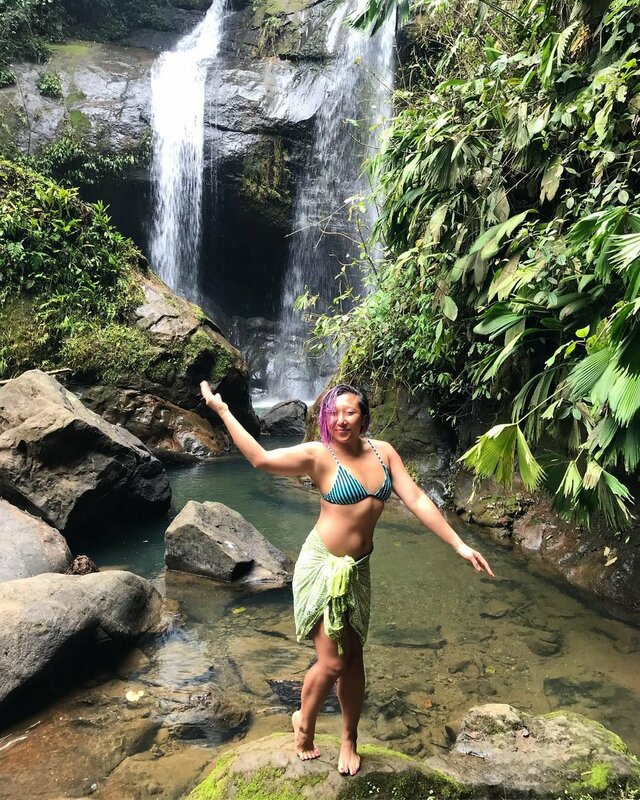 This photo was taken at a magnificent waterfall in Costa Rica, which was my ideal image of Costa Rica, and what drew me there in the first place. But something was off. I felt kinda bleh all day. Something wasn’t living up to my expectations. I felt separate even though I was in a group. But I hadn’t been able to put words to it yet, just a bleghh feeling. A guttural sound. I didn’t realize what I was feeling or why was until dinner time: I had been self conscious about my body all day!! I was in PARADISE and my mind was still in a loop of comparing and judging. I was surrounded by beautiful women and I was comparing my body to theirs. This is all coming up for me today and being tied together with the body shame that’s rampant in the Chinese culture (and many other cultures too). From my earliest memories to around 13 years old, I was told, what seemed like on a daily basis, that I was too skinny. Then one day, it was like a switch flipped and I was told I was fat. I was also criticized for things about my body that were outside of my control such as the color of my skin, the size of my eyes, the length of my eyelashes, and the size of the hands and feet. It’s taken me years to feel good about myself and my body on most days, but all it takes is one comment to send me back into that negative spiral. You are beautiful. You are loved. You are perfectly imperfect. You are enough. Say it again and again, make it a mantra, until you believe it. Sign up to get the latest updates about blog posts, New Moon Womxn’s Circles, yoga classes, workshops, and coaching. Thank you for signing up. Please check your email to confirm. See you soon!